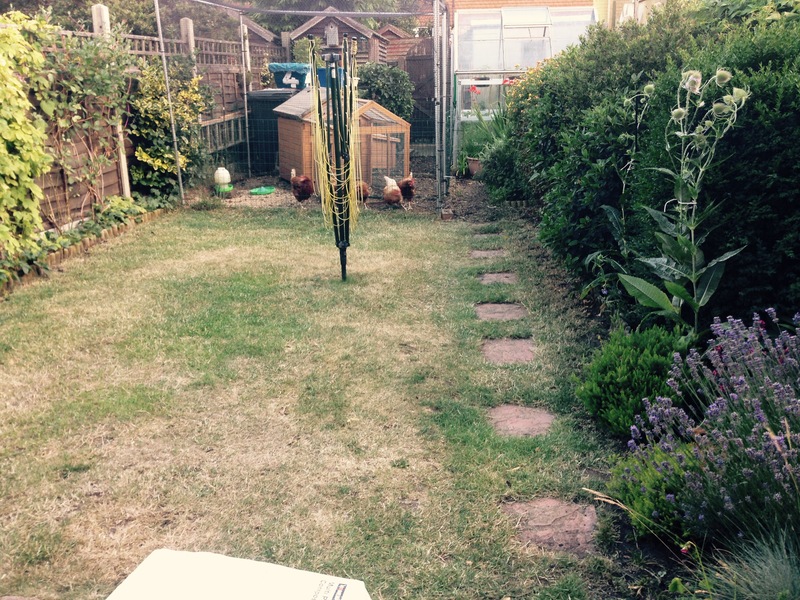 ← Friday 10th July 2015 – The Fruit patch is weed free. Saturday 11th July 2015 – The perfect Saturday. Today the sun shone all day and it was lovely and warm. I’m sorry if you had rain where you were today, but I expect next time we have rain, you’ll have sun. I spent the morning doing boring housework things (but they’ve got to be done), Emily and I made some cakes and then after lunch (and a little nap. Well I was at a friends party last night and Mark and I didn’t get home until midnight), I spent all afternoon in the garden pruning, watering, mowing the grass and weeding. Just generally having a bit of a tidy and making it all look beautiful. I had to pop to both my neighbours because I have some trailing plants that were easier to prune from the other side. We’re a very sociable bunch of neighbours so popping round via the back gate was no problem. It didn’t take long. I’d rather prune them myself, then I know that it’s been done properly. I’m very protective of my plants, as I’m sure you’ve most probably realised by now. Both the back garden and front garden are now ready for summer which is great. Just watering and a little bit of titivation (is that a word?) is all that should be needed now. Little and often is the key. 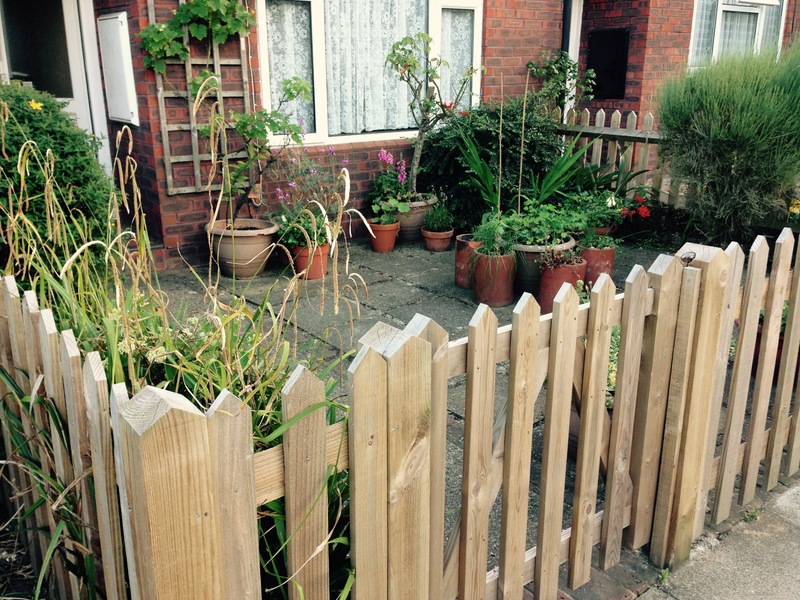 My front garden, surrounded by a lovely picket fence. And the back garden. I keep watering the grass, but we’ve had so little rain, the grass is still turning brown. Still it’s greener than the grass out the front. 4 Responses to Saturday 11th July 2015 – The perfect Saturday. We got a bit of rain, but nothing substantial. Never mind.